Thank you for your continued support and patronage. It remains our privilege to serve you. Please accept this complimentary copy of our 2009 catalog, which includes new product offerings. For the past four decades, Military Art has provided superior quality, American Made career collectibles to Active Duty, Reserve, and Retired U.S. military personnel worldwide. Our service and production teams pay special attention to detail and quality control so that your personalized keepsake will serve you for many years to come. Our library of military insignia continues to grow at a rapid pace. To date we have over 25,000 different military images from which to choose when customizing your career collectible. The list has become too extensive to print in the catalog, however, it can be viewed by visiting our updated and improved website at www.milart.com. As always, we invite you to contact our Customer Service Department at (800) 445-MUGS with any questions or comments. With our continued best wishes and gratitude for your service. A military coffee mug or stein makes a personal statement about an individual’s unit and branch of service. Here at Military Art China, we have been specializing in making these collectibles for military organizations since 1967. Our process of creating a coffee mug or stein begins and ends with handcrafting each piece. We have over 40 years' experience in printing unique and complex military crests. Our precision techniques enable us to avoid gaps or overlapping colors in the final product, and our in house art department can duplicate any crest or logo submitted. Our decorators are completely familiar with the emblems they are applying and use their “decorating license” to ensure each piece looks its best. 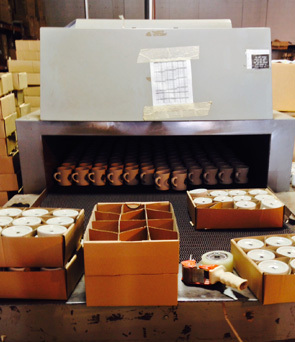 Quality control begins at the door when we receive your order and follows throughout the production process. A word of caution: Do not place mugs or steins with 24K gold or silver in a microwave oven. We know from your photos and correspondence that our mugs are used daily in wardrooms, mess decks, squadron ready rooms, and military offices all over the world. Clearly, a mug may see some rough duty, so it must be durable. Later, when your mug becomes a remembrance of your time in the military, you will fully appreciate the untarnished look of our high quality collectibles. Thank you for your patronage.